I know, I know. It’s been a hot minute since my last post. But I have a very good reason… I moved to Chicago! I’ve been busy settling in and getting to know the city. I also had a major writing deadline for a chapter in a book that I’m really excited about, and I led worship at a conference two weeks after I moved. You see, these are all great excuses, don’t you think? 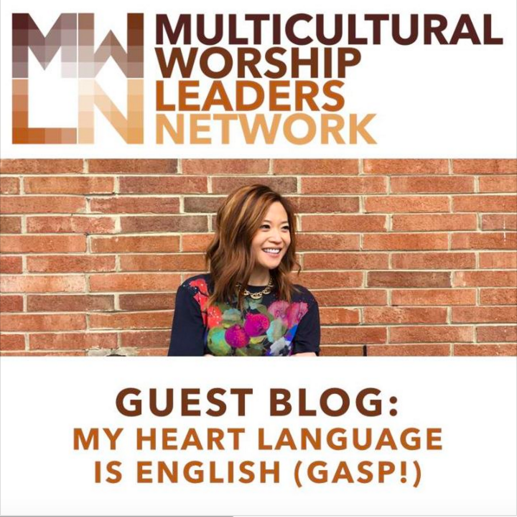 With that said, I was honored to be invited to write a guest blog post for the Multicultural Worship Leaders Network. If you’re not in the Facebook group, please look them up and request to get in. There are so many wonderful resources on multicultural worship available, and your questions will always be answered. After I wrote this guest post, the core team from the network thought it was an important topic and decided to generate discussions around it on the Facebook Group. I’d love for you to chime in as well and let us know what you think. Here’s the original post on the website, and you can join in on the conversation over the Facebook Group “Multicultural Worship Leaders Network.” I’d really love to know what you think. I’ve join Angie. Love to talk worship in any context. It’s my DNA for the last 44 years!